This Australian-built Maton Supreme 777 is getting on for 50 years old and has seen some action! It came to me needing a refret, a new nut and a general fettle. The Bigsby vibrato was in a sorry state and needed rebuilding with a new arm and spring. The pickups had been cut off at some time and had been attached using electrician’s terminal blocks so I re-cabled them with new braided cable. The rest of the electrics just needed a clean to restore to working order. The wiring in these things is verging on the over-engineered, it is so robust! 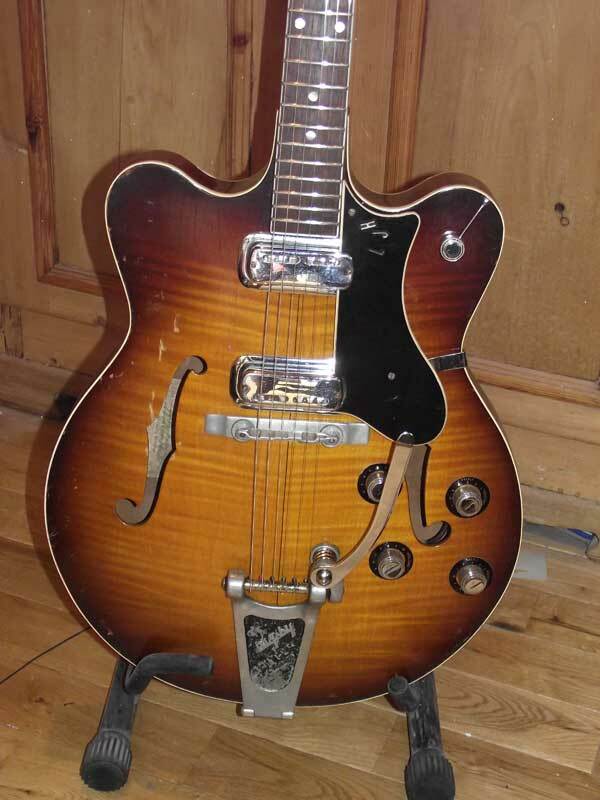 An unusual aspect of these guitars is that, in common with some Hofners built around the same time, access to the truss rod adjuster is via the end pin and through the body. Whereas Hofners use a 5mm hex socket, Maton decided to use a 1/4″ square adjuster. I could have sent to Australia for the Maton tool but instead decided to make my own. When I had the guitar stripped down, a lot of loose paper and fluff dropped out of the pickup holes. 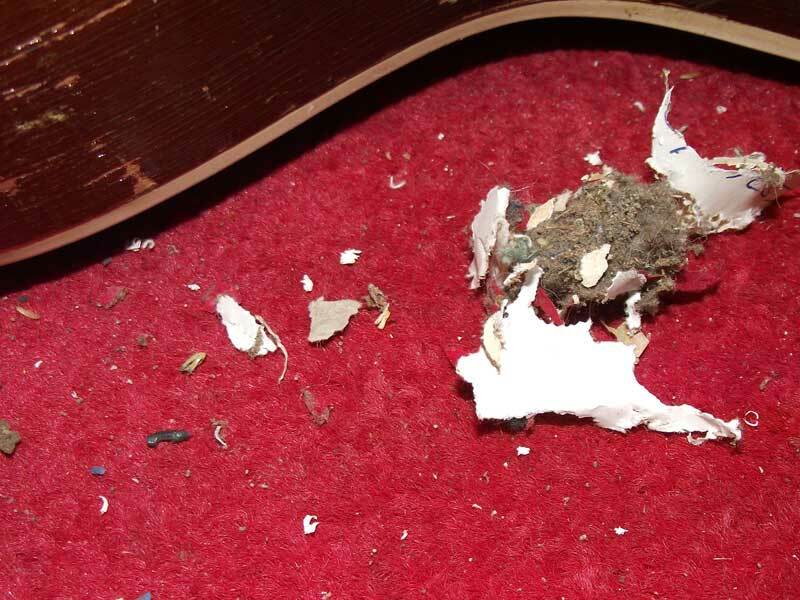 From the way the paper had been nibbled, it looked very much as if this guitar has been occupied by mice! Could it be the same one I wonder?